Let’s jump right on in there. First of all, it seems to me that you’re really interested in Entomology! You’ve told me twice in this short email how you’re excited to get started, so jump on in there!! As long as your hobbies are legal, your friends should support you in pursuing your interests. I obviously don’t think that entomology is a weird hobby to have. I don’t think it’s weird to have an interest in our natural world. I don’t think it’s weird to want to further your knowledge in a field that you might not otherwise have a background in. And if anything, you can be rest assured that at least 50,000 other people share your interests in our entomology FB group, so you’re definitely not alone. In fact, this might be a great opportunity to meet some new people! And this might be an even better opportunity to show your friends how cool the little world of bugs is. 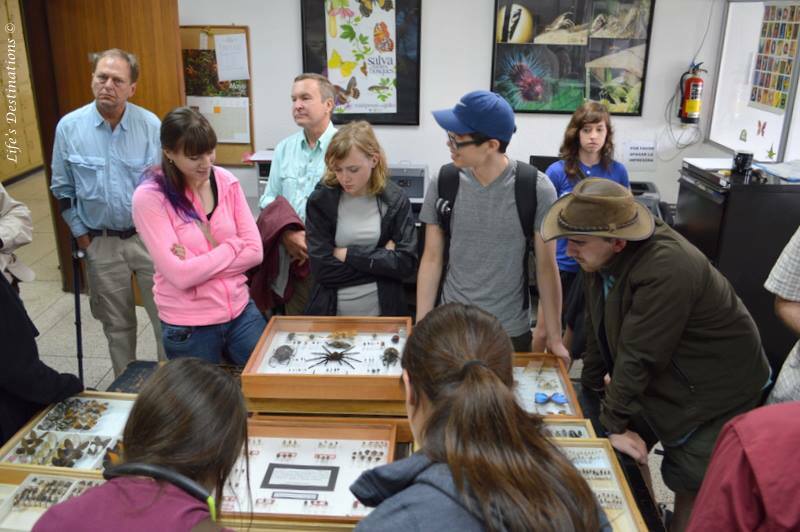 If you’re ready to get your feet wet in entomology, lets talk about some things you can do with collections and getting into entomology on a budget. I’d just like to throw my opinion out there and state that I really don’t agree with collecting for the sake of collecting. I know many other entomologists and bug enthusiasts disagree with me, but I really value life and only kill things when I think it has a purpose. In fact, Joe and I wrote about the many reasons in which entomologists kill insects to show that entomologists do what we have to to learn about our natural world. That doesn’t mean you can’t or shouldn’t, build collections, but you’ll probably want to keep these things in mind. 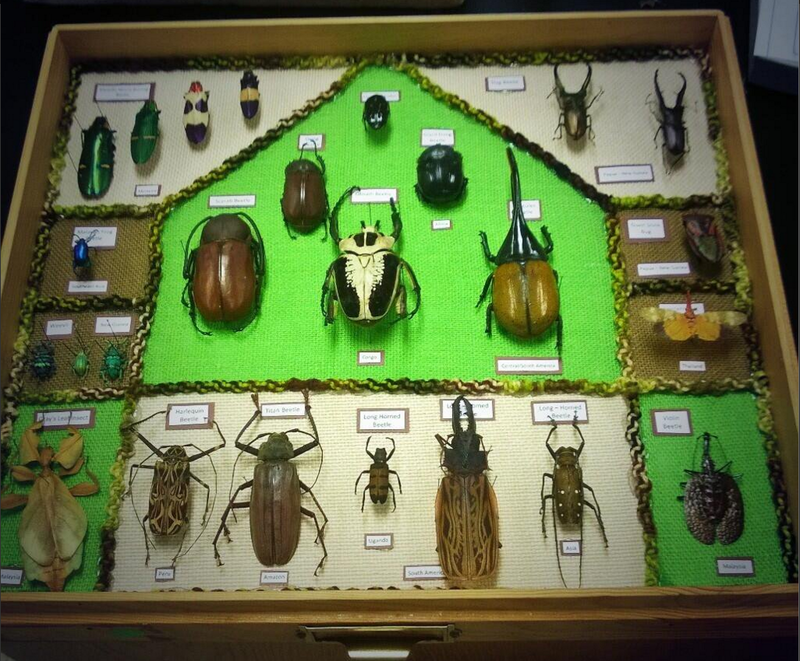 Insect Collections Can Outlive You! Once you preserve insects, and you take the necessary precautions to keep mold and bugs out of it, it can last for hundreds of years! This is how museums work! Avid collectors usually have their collections donated to science after they die. In less extreme cases, when people move, or they build bigger and better collections, they’ll donate old ones. And all of this is awesome! … if your collection has appropriate label data. 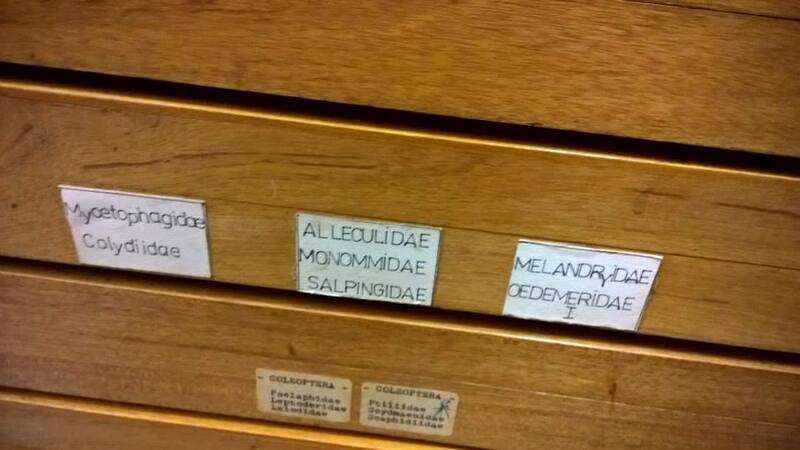 There are so many collections that get donated to science that we can’t use because they didn’t have appropriate labels. All that life – and data – gets thrown out. You can prevent this from happening by just putting some very basic label data on your bugs! Even if you like collecting all the same type of bug, you can still help someone in the future do a project on historic distribution of a species. But only if you have the label data. The more you put on the label, the more you help scientists in the future. So thank you!! Collections in museums date back to hundreds of years ago! Help us preserve the science and label your stuff! There’s nothing better than sharing your passion to other people. You know, if they want to be involved. And there are lots of people who’d like to be involved! Offer to build collections for schools or libraries. This gives you the opportunity to delve into entomology, hone your skills, and shows the community the cool bugs that are in your area. Who knows, maybe you’ll inspire a kid to grow up and be a cool entomologist one day. Not all collections just have to be bugs in boxes with no creative spirit. This was created by one of our student workers specifically for outreach and I love the design! Entomology doesn’t have to be expensive. I already wrote a post about how to collect insects and in there I mention a few ways to cut costs, but here’s some equipment broken down. The cheapest way, I think, to get into entomology is just start taking pictures and uploading them into an album. One of my favorite photographers, Andreas Kay does this from Ecuador and it’s definitely my most used entomological resource in the rain forest (Thank you! If you’re reading this!). But don’t think you need to just run out to the nearest camera store and buy the best equipment on the lot. Your cellphone is a really powerful camera and to prove it, most of the pictures taken on our Instagram are cellphone shots. You have a lot of potential in your pocket and there are plenty of apps and add-ons to make it better. For the apps, you’ll want something with manual focus like FV Camera for Andorid or ProCam for Apple. Many of the new generation phones have this feature built in and you can skip the third parties. There are also a bunch of DIY projects to get the most out of your phone camera, including turning it into a microscope. Regardless of your equipment, there are a few things you can do to always make your photography better. I wrote a short guide to help you with the basics if this is where you want to start. 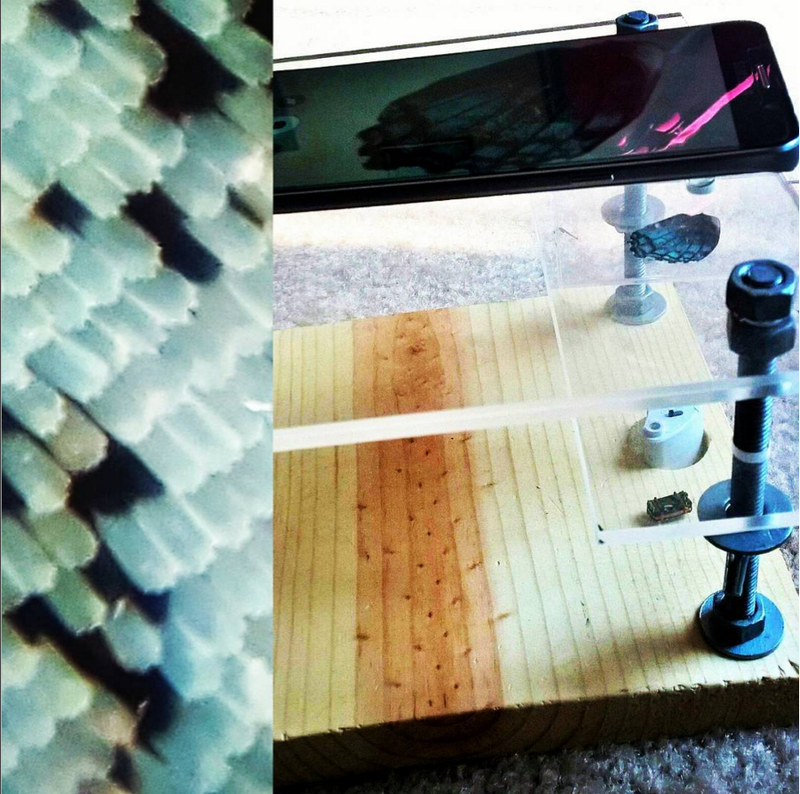 I built this crude microscope out of Plexiglas, a hand-lens, and a laser pointer lens. The microscope works in conjunction with my phone. The picture I took is of the scales that cover the butterfly wing. Each scale is about 60µm. Okay, so let’s say nothing beats having a physical collection. Let’s start talking about what you need. Your Net Worth in Bugs. First thing – you need a net. You can collect a lot of insects by just walking up to them and catching them in a jar, but if you want dragonflies or butterflies you’ll need a net. I’d start with the standard series insect net. It’s fairly heavy duty so you can sweep net through grass but light enough that you can still catch butterflies. You can always upgrade to heavier nets later or aquatic nets. Bioquip will suggest using glassine envelopes for storing butterflies but I always just fold my own pieces of paper into Lep Triangles. I’ve already discussed the pros and cons of using a kill jar or the freezer to kill your insects, and it’s basically a matter of preference. If you go the kill jar route, Bioquip will sell you a kill jar but a mason jar with a nail polish soaked cotton ball will do the trick just fine too. The official kill jars hold their “charge” for longer than the cotton ball, but if you want to cut costs, this is one way to do it. Because labeling is so important in entomology, I usually bring around little bead baggies that I can put all of my bugs into. I put one bug per bag and label the bag where I was and the date so I can label my insects easily later. For bigger things, sweep net, or trap samples I use Ziploc bags. Then I just put all of those from one day into a hard pencil case, and put that whole thing in the freezer. You are going to have to pin your insects if you do a collection. I have several videos on my YouTube channel about how to do this. You need to buy insect pins. For most bugs in the states, you can just get away with use the #2 thickness pins. You need these because they don’t rust, and they’re thin enough to not damage your insect, and they don’t have a big head distracting your from the bug. You’ll need a thick piece of Styrofoam to pin your insects to when they dry. You can get this from your local hardware/art store. You’ll need some other pins to move your bugs’ appendages around, or to hold butterfly wings down when they dry. It’s okay to use sewing pins for this as long as it’s just temporarily a support system while your insect dries. You can buy a formal Cornell drawer for $50 a pop, or you can just get a shadowbox from your local art store. Cornell drawers are designed for storing insects long term and are good at keeping out both mold and bugs. However, shadowboxes are a good beginner solution, especially when you’re first starting to pin your bugs. 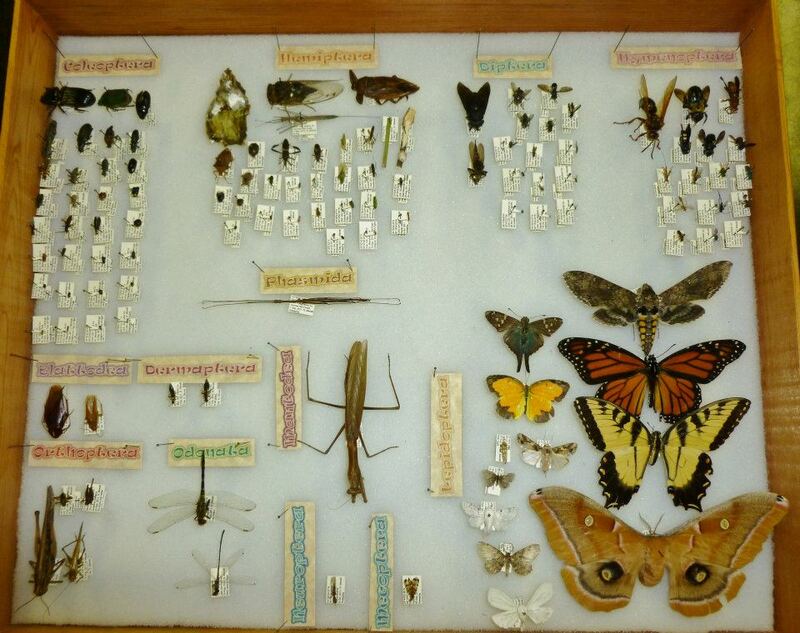 My insect collection from Grad School. Everything in this box is from Georgia. Entomology is cool! Get your friends in on it! If you build collections, please do so responsibly with a goal in mind. Label your bugs so we can use them for science later or build collections to get your local neighborhood kids interested in bugs too! 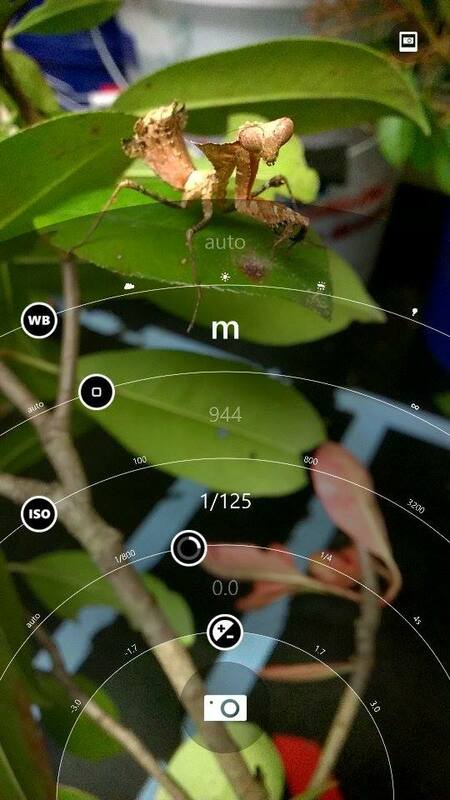 As for the cost, you can always take pictures on your cellphone and join Entomology groups to test out the waters. If you want to build a physical collection, you really only need to drop a few dollars at first on a good net and insect pins. The rest of it can be built yourself through DIYs or purchased cheaply from local resources. **Disclaimer: I don’t work for Bioquip or anything, they’re just the main provider for entomology equipment in the States. Entomology brings you to some pretty cool places. Here, my students are visiting the national collections in Quito, Ecuador. 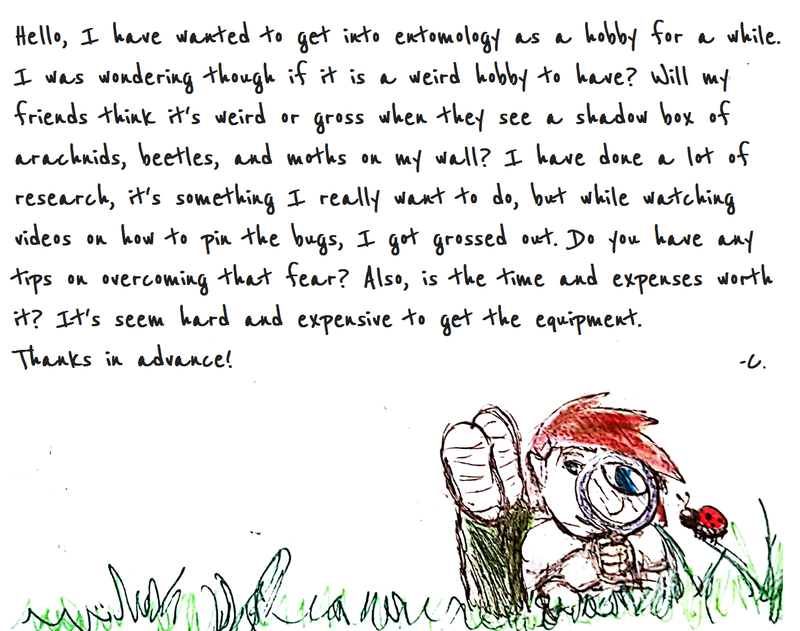 This entry was posted in Culture and tagged beginner, bug collection, collection, Entomologist, Entomology, friends, hobby, SciComm. Bookmark the permalink.